We at Gayatri Magnet are reputed Gyro screen manufacturer, supplier and exporter in India. Gyro screen operating with vibratory motor and have circular screens for imparting vibration in many direction for the screen assembly. The most effective method for screening is gyratory motion. Gyro screen machine consists of vibratory motor on the top of vibration generating base and screening assembly with perforated sheet. Screening material travels on the screen and passes through the screen depending on particle size and nature. Our gyro screen machine provides maximum feed rate, high efficiency and optimum screening. For application of grading of wet, fine and difficult screen materials, circular gyro screen has design with the most advance design of screens. These screens work on the gyratory motion principle and unique feature of this type of machine is its high capacity with using less power and minimum space. The gyro screen machine in India is an important part of any industry which requires different processes including separation, sorting and sizing of the various materials and need operations with the good quality screens. Screens of machine are called as vibrating sieves. 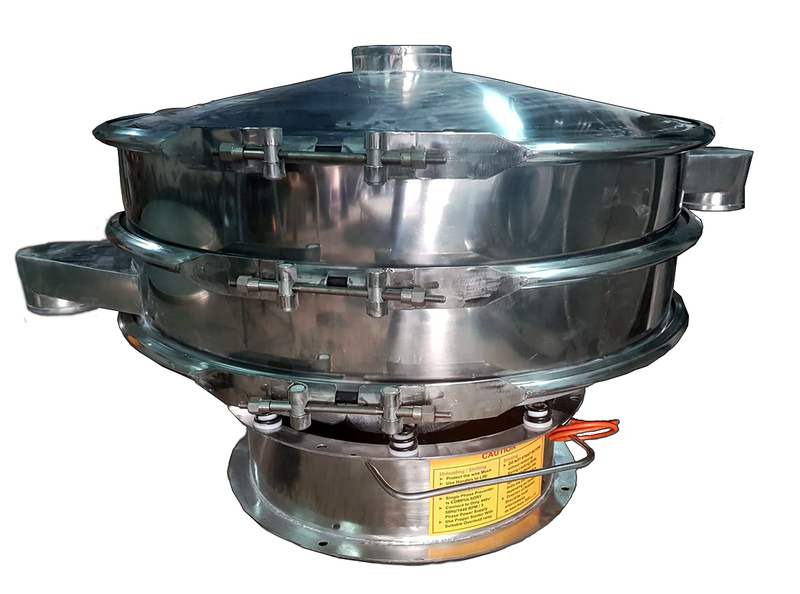 In the ground level separation or at small level, we use regularly these sieves at home. Vibrating screens is the important part of the initial processing of the raw material in any industries. Many industries such as companies that produce fillers for food products and make spices should have the correct mesh size to follow particles which are separated by this screen. These Gyro screen machines are available in the different size and shape like basket, cylindrical, curved, huge flat or in the irregular shape. The size of the machine dependent on the products they used to separate because the principle behind such separation is the size of the mesh and gravitational force. The dimension decides the nature and the shape of the products to be separated. These vibrating screens are durable and made from the metals that are tough and corrosion free.